How Valuable is Facebook’s Energy Efficient Open Data Center Design? 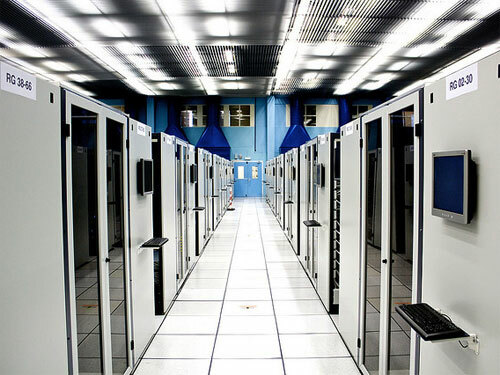 Last week, Facebook’s Open Compute Project unveiled the details of its energy efficient server design, power systems and evaporative cooling system for its new data center in Prineville, Ore. That’s a lot of valuable intellectual property, and opening it up could push other data center giants in the field — notably Google (s GOOG), which has kept much of its efficient data center IP under tight wraps — to open theirs up as well. But how much is all of this information worth to data center operators? The answer to that question will vary, depending on just how many of the project’s separate design advantages can be combined across today’s heterogeneous world of data centers. Over at my weekly update at GigaOm Pro (subscription required), I dive into some of the details to see just how useful Facebook’s innovations may be, mixed and matched across today’s data center environment. Facebook’s Open Compute Project has spent the past 18 months putting together a completely new design for Facebook’s first data center in Prineville, Ore., which Facebook owns itself. Take Facebook’s new servers, which claim a 13 percent power use reduction from the servers it’s using today. They’re made by Quanta, but Dell has said its Data Center Solutions business will be making servers based on Facebook’s design. Likewise, Facebook’s decision to cut the number of power conversions within the data center and use batteries to back up multiple racks of servers — a trick it seemed to learn from Google’s one-battery-per-server power backup design, by the way — could be emulated by other data centers, if both servers and gear to make it happen get mass-produced. Rackspace has said it will be looking at adopting the Open Compute model in hopes of cutting power costs, and other companies may well be following suit. But putting all these different efficiency parts together to reach the 38 percent energy savings that Facebook hopes to get out of its Prineville facility isn’t so easy to emulate. One big limitation is that Facebook’s biggest gains are really geared for newly built projects, while most of today’s data center efficiency push is around existing data centers that can’t get any more power delivered to their site, and thus have to do more computing with the same power source. While the Facebooks and the Googles and the Yahoos of the world can build brand-new, hyper-efficient data centers, capacity-constrained data centers must fit more computing into an existing footprint. That’s why efforts like virtualization have led overall data center efficiency gains. While energy is more important than ever, performance and reliability remain job number one. Learn more about Google and Yahoo’s green data center designs at Green:Net 2011 on April 21 in San Francisco. GPL for all level, from software to hardware and now to Greenware!!!! amazing social community energy out there, this is this the era of openness where the definition of knowledges are truely appreciated and shared to bring shared accumulated knowledge to next level!!! Open Compute is important. But that’s HipHop for PHP that makes the big difference. This compilator translate PHP code to C code to reduce Facebook’s computing power needs by 80%. I think it’s quite funny that Facebook is showing the others how it should be done. All the big companies should now be looking at other ways to cool the data centres they own.